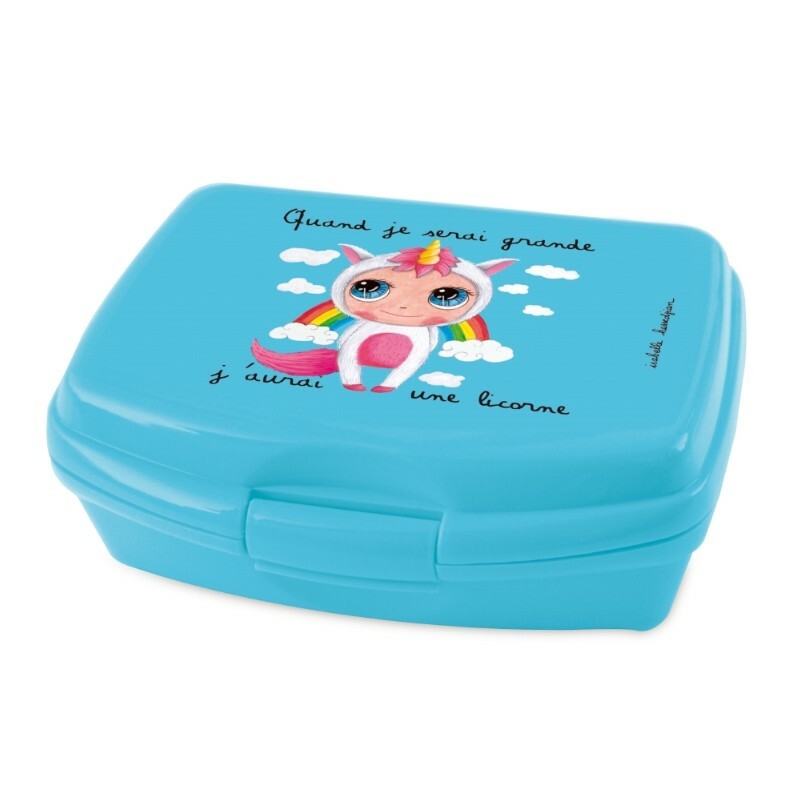 Lunch box "Quand je serai grande j'aurai une licorne"
Lunch box made of plastic material. Suitable for food uses. Size: 13 x 16.5 x 6 cm. Capacity 38 cl. Closing "clip"